You: What’s this nutty new recipe all about? …Alright, puns aside, we’ll give the game away! Brace yourselves, for our New Nutella number is a thing of dreams. 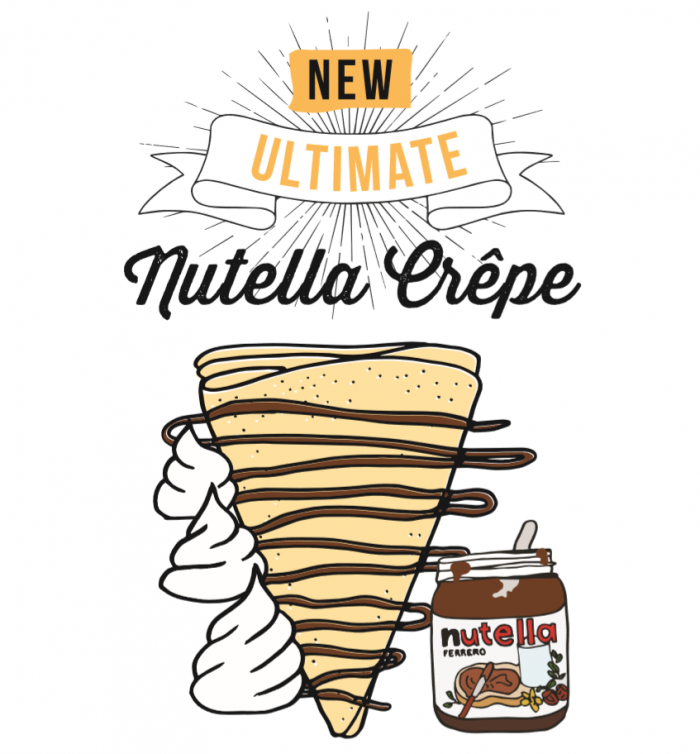 Introducing Crêpeaffaire’s ULTIMATE NUTELLA CRÊPE! Sometimes, the classic Nutella pancake doesn’t quite hit the spot. 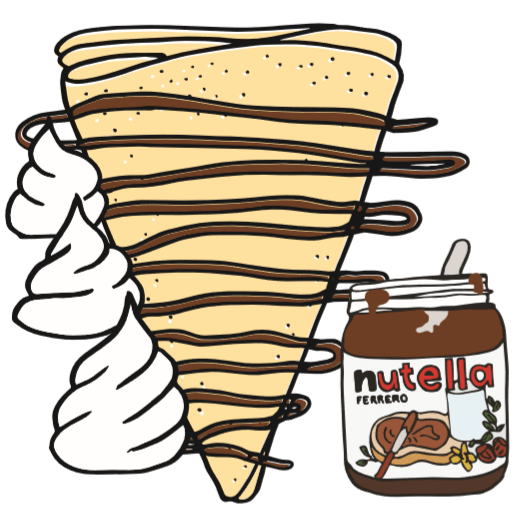 So we’ve conjured up a sweet treat that will satisfy every Nutella crêpe craving. Not the the faint hearted, this dessert is rich, chocolatey and scrumptious with every mouthful! Hold the phone… you can have this on a galette, waffle or mini pancakes too! ?